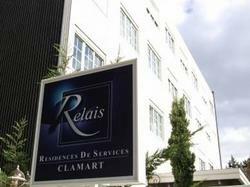 Au Relais de Clamart is located just 12 km from Paris and offers studio apartments with a fully equipped kitchen, a flat-screen TV, private bathrooms and free Wi-Fi connection. Relaxation amenities include a sauna and hamman, and there is a fitness centre for guests who would like to work out. Vending machines selling drinks and snacks are available at reception. With private parking on site, Velizy Commercial Centre is just 3 km away and the Saclay ponds are only 10 km away. Please note that a laundry service is available at an additional cost. This studio features: - A living area with a sofa bed and a flat-screen TV - An equipped kitchenette - A private bathroom.